In the United States today, one in every thirty-one adults is under some form of penal control, including one in eleven African American men. How did the 'land of the free' become the home of the world's largest prison system? 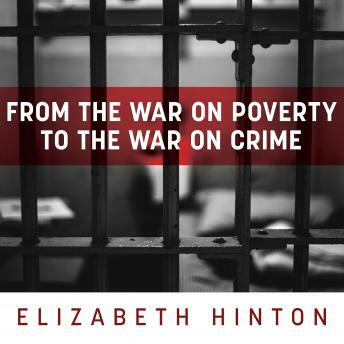 Challenging the belief that America's prison problem originated with the Reagan administration's War on Drugs, Elizabeth Hinton traces the rise of mass incarceration to an ironic source: the social welfare programs of Lyndon Johnson's Great Society at the height of the civil rights era. Johnson's War on Poverty policies sought to foster equality and economic opportunity. But these initiatives were also rooted in widely shared assumptions about African Americans' role in urban disorder, which prompted Johnson to call for a simultaneous War on Crime. The 1965 Law Enforcement Assistance Act empowered the national government to take a direct role in militarizing local police. Federal anticrime funding soon incentivized social service providers to ally with police departments, courts, and prisons. Under Richard Nixon and his successors, welfare programs fell by the wayside while investment in policing and punishment expanded.